Darren at Maguires Executive Travel knew one of our sales reps who mentioned to him that a website update could really help his business and bring in a lot more customers for him. She explained it was essential for your business to have presence on the web. Darren agreed that having a new business website could really benefit his business – we done some designs when he gave us the green light and he loved them. 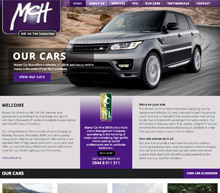 Yet another happy customer of web design Warrington!